Sunroof, Heated Seats, Rear View Camera, Bluetooth, Blind Spot Detection! 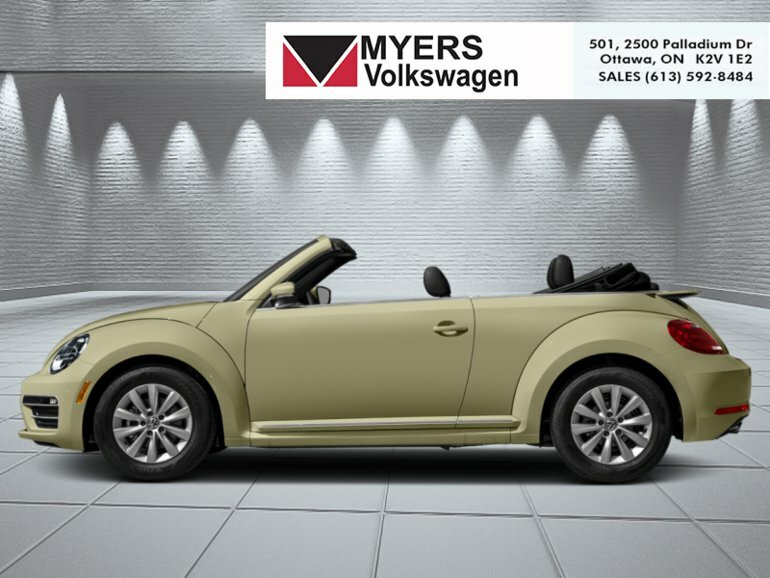 Top down or up, this 2019 Volkswagen Beetle Convertible will manage to turn heads and look good in any moment of the day. 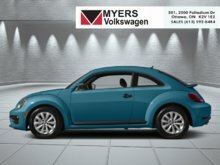 This 2019 Volkswagen Beetle Convertible marks the culmination of a 70 year old tradition of being one of the best vehicle for the people. 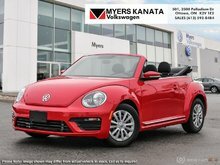 With every reinvention through the years, this 2019 Beetle Convertible has become a very civilized, elegant and comfortable vehicle that offers loads of fun with the top down, and a quiet and supple ride quality on colder less inviting days. Built to a high quality standard with excellent fit and finish and fitted with loads of tech, this Beetle Convertible will leave you wanting for more once you realize its true on road capabilities. This safari uni w/ black roof convertible has an automatic transmission and is powered by a 174HP 2.0L 4 Cylinder Engine. Our Beetle Convertible's trim level is Wolfsburg Edition Auto. 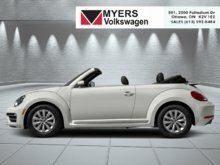 This Volkswagen Beetle Convertible Wolfsburg Edition comes very well equipped with plenty of features and options consisting of a power convertible roof, rain detecting wipers with heated jets, fully automatic headlamps, a powerful stereo with a 6.33 inch touchscreen and voice control, an SD card clot, Bluetooth, App-Connect smart phone connectivity, USB audio input, heated front adjustable bucket seats, a leather multi-functional steering wheel, keyless entry and push button start, cruise control, dual zone automatic air conditioning, auto dimming rear view mirror, blind spot detection sensor, rear cross traffic alert, a rear view camera and much more. This vehicle has been upgraded with the following features: Sunroof, Heated Seats, Rear View Camera, Bluetooth, Blind Spot Detection, Siriusxm, Aluminum Wheels. 174HP 2.0L 4 Cylinder Engine - 4 cyl. 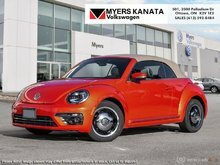 Interested in the 2019 Volkswagen Beetle Convertible Wolfsburg Edition Auto ?